Invitations for Dovecot back from the printers! 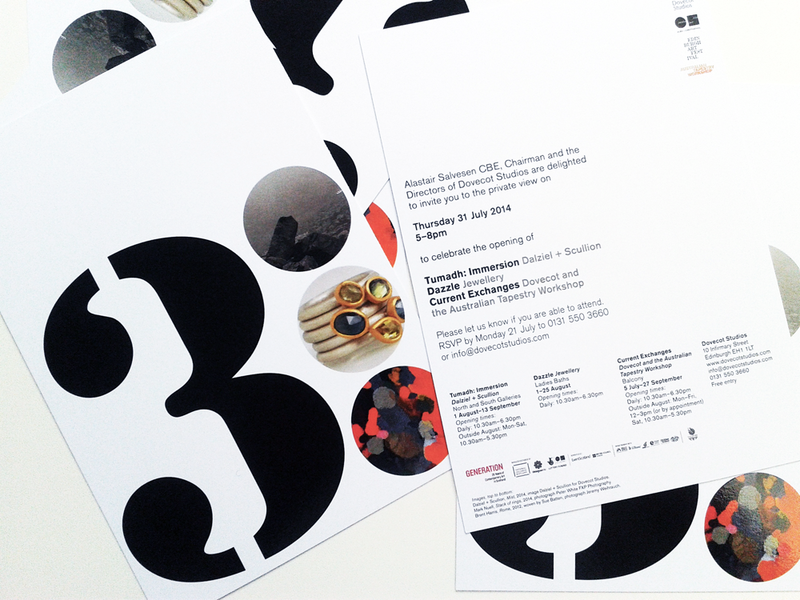 The invitations for Dovecot's three summer exhibitions are back from the printers! The invitations feature the logo and identity that I have designed and were printed by Allander Print in Edinburgh, on Vision Superior 450gsm with a spot UV varnish on the logo side. Allander have done a great job, and the cards came in ahead of schedule and under budget. The Dovecot team are delighted with them and I am pleased to have happy clients. I have adapted the design for a six-sheet bus stop poster which will start appearing around Edinburgh in July and an advert, which will appear in Galleries magazine. I am currently designing a leaflet, including an exhibition map, which is currently being proofed and will go to print next week. Next stop some large scale banners for the streets of Edinburgh and then the exhibition graphics.